Sweet little elephant baby rattle with floppy ears, long trunk and little tail. 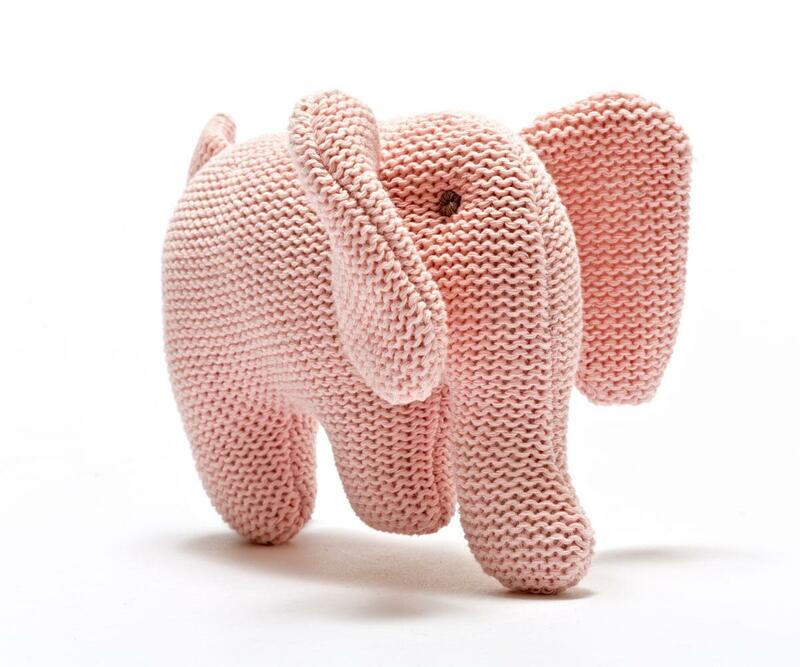 This elephant toy is in soft pink is knitted from 100% organic cotton. This would be an ideal first rattle for a newbie and would make a lovely baby gift. Best Years are a soft toy manufacturer based in the UK. All our organic baby toys are available to wholesale, retailers and museum customers. Where is my elephant soft toy made? Our knitted elephant baby rattles are ethically sourced from China.